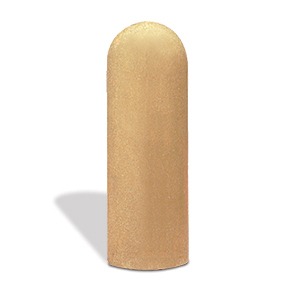 Functional, recognizable and economical, these concrete bollards will help control access. By presenting a sturdy impediment, safe of pedestrian hazards, the classic bullet design is ideally suited for high volume areas. The simple styling and highly recognizable look of the bullet concrete bollards make them a helpful aid in protecting the community, pedestrians and motorists. Constructed with structurally sound, highly durable, rebar reinforced concrete, this bollard is ready capable of withstanding the harshest of conditions. ASTM compliant and available in a variety of standard and premium finishes.